I don’t know what I’m more excited about, this recipe or my newest video I made for you. It’s been awhile since I shot a cooking video and honestly all the hype on see on social media with cooking videos inspired me to shoot some new videos. Instead of my past cooking videos with me babbling on and on I shot a quick video of these yummy Buffalo Chicken Pinwheels. I’ll be honest, I see these kind of videos being shared on social media all the time that I had to jump on the bandwagon too. They are pretty genius. Quick videos showing delicious recipes in a matter of seconds – you can’t beat it! MT readers are crazy about pinwheels! My recipe for Cheddar Bacon Ranch Pinwheels I shared several years ago is still one of the most searched recipe and most popular on MT and for good reason, they are super good! 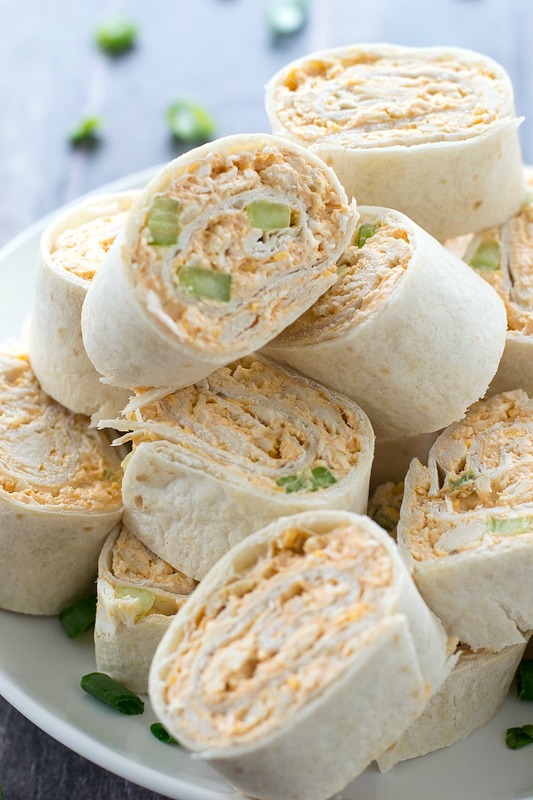 I recently got hooked on these Buffalo Chicken Pinwheels. The last few parties I attended friends of mine brought these and honestly I couldn’t stop eating them. With Super Bowl coming up these little bites of yumminess are the perfect Super Bowl app they are a total crowd-pleaser! 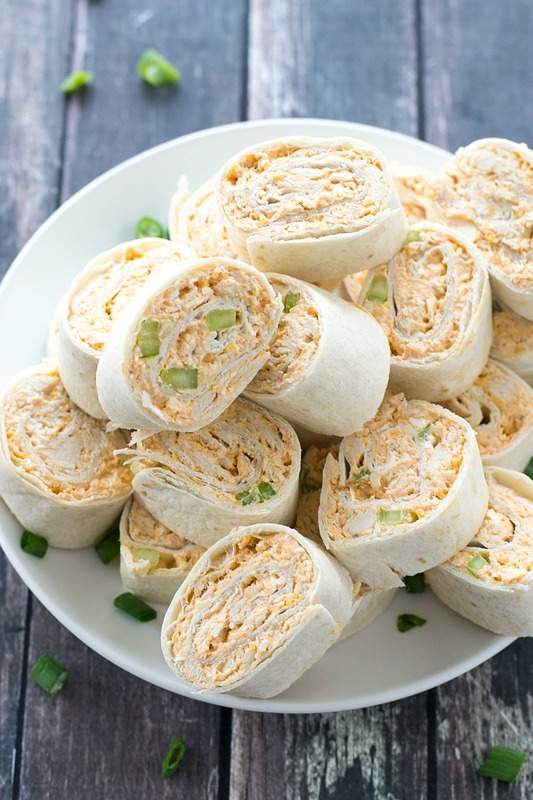 I mean c’mon what’s not to love about Buffalo chicken, right? So how easy are these to make? If you have 35 seconds, I’ll show you. Check out the video below and give these a try! Line a baking sheet with aluminum foil and spray with cooking spray. Place chicken breast on baking sheet. Lightly spray breasts with cooking spray and season with salt and pepper. Bake for 40-45 minutes until chicken is thoroughly cooked. Once chicken is cool to touch shred with the back of two forks until no large pieces remain. Place shredded chicken aside. Place cream cheese, shredded cheese, hot cayenne pepper sauce, celery, and blue cheese in a large bowl. Using an electric mixer beat until combined and creamy. Stir in shredded chicken with a large spoon. Divide chicken mixture between tortillas and divide evenly. 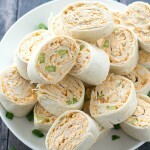 Tightly roll tortillas and wrap in plastic wrap. Place in refrigerator for a few hours or overnight. When ready to serve cut off ends and slice into pieces about 1-inch thick.